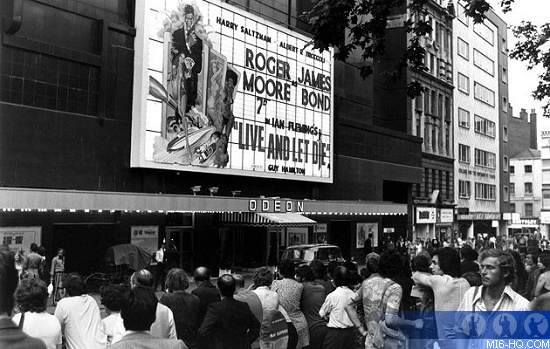 On Thursday 5th July 1973, 'Live And Let Die' held its Royal World Premiere at the Odeon Cinema in London's Leicester Square with HRH Princess Anne. 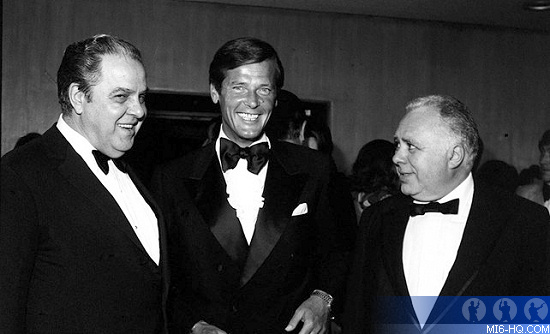 The event was attended by a mixture of the cast, crew and famous faces from the entertainment industry such as Michael Caine, Burt Reynolds, Peter Sellers, Gregory Peck, David Frost, David Bowie and Lulu. Most importantly, the new face of 007, Roger Moore, had just returned from a worldwide press promotional tour, the aim of which was to separate himself from the legendary Sean Connery in the role. The movie went on general release in London the following day on Friday 6th July 1973, and nationwide the week after from Thursday 12th July 1973. 9 million Brits went to see the film before the end of the year. 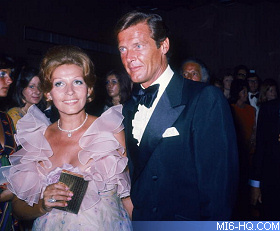 Above: Roger Moore with his wife Luisa Mattioli. 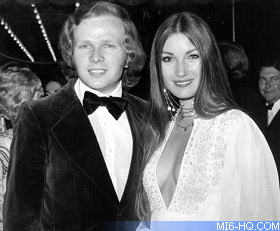 Above: Jane Seymour her husband Michael Attenborough. Oddly, the film opened in the USA on 27th June 1973, a week earlier than the world premiere in London. The eighth James Bond film went up against Power Productions horror sequel 'Scream Blacula Scream', Paramount Pictures 'The Friends of Eddie Coyle' and Walt Disney Pictures 'Charley and the Angel'. Other films out in North America that week included 'The Man Who Loved Cat Dancing', 'A Touch of Class', 'Blume in Love', 'Battle for the Planet of the Apes', 'The Last Sheila' and 'Shaft in Africa'. 'Live And Let Die' went on to earn $35,400,000 during its run in the US reaching an audience of 20.1 million (down from 'Diamonds Are Forever''s 25.8 million US admissions). December ushered the new Bond into Norway on the 13th with a K-16 rating, with Finland and France having to wait a further eight days. December 22nd saw the debut of Moore's 007 on Swedish cinema screens. The film averaged 9,862,000 Swedish Krona with general admissions of around 954,000 people, a 15% improvement on 'Diamonds Are Forever'.